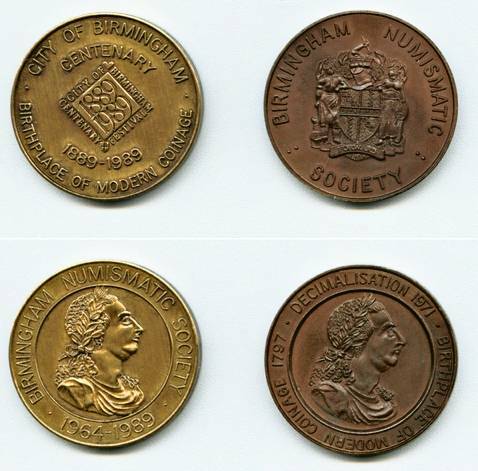 We at the Birmingham Numismatic Society have interests covering coins modern and ancient, tokens, commemorative medals, banknotes and just about anything else associated. We meet at the Friends Meeting House, Bull Street, B4 6AF. This is in the centre of Birmingham, near to all city centre railway stations, the Metro and city centre bus stops. The meetings are at 7pm on the following Wednesdays. It is a different topic each month - please Email to the address below to discover the subject for the next meeting. Feb 13 Meeting followed by AGM.